Dubai : A Dubai-based Indian-owned healthcare firm has launched a programme aimed at providing medical services to the local community at their homes in the UAE. Aster DM Healthcare, which owns and operates a network of 290 units across the Middle East and India, said personalised services in the UAE are growing in demand along with increased flexibility and mobility of services. 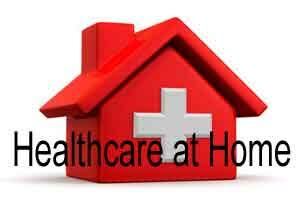 The company’s Aster@Home will enable patients to get basic healthcare services which include pharmacy deliveries, doctor’s visits, nursing services among others at their homes. Dr Azad Moopen, Chairman and Managing Director of Aster DM Healthcare, said the company is looking for ways to use new technology and opportunities in providing a world-class healthcare system. “Through the Aster@Home program, we are further able to address the medical needs of our patients both before and after their clinic and hospital visits. By enabling a smooth, easy-to-use mobile service we hope we are seeking to improve the health of the nation even further,” Moopen, who was born in Kerala, said yesterday. One of the highlights of Aster@Home is its home monitoring system for diabetic and hypertensive patients under its “Aster Chronic Disease Care” programme. With diabetes affecting over 1 million people or 19 per cent of population in the UAE alone and cardiovascular diseases on the rise, Aster will support the challenges faced by those who require extra care due to elevated levels of glucose or suffer from hypertension, the company said in a statement.